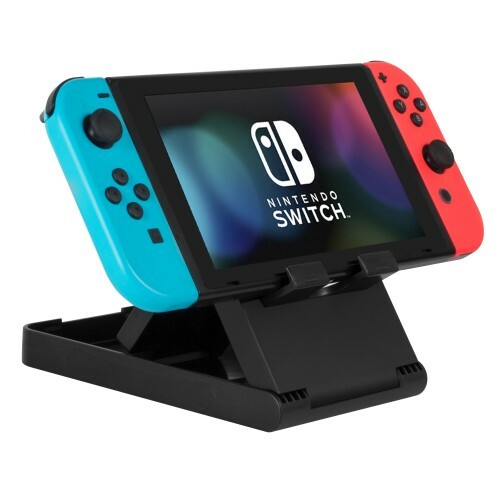 Adjustable Stand for Nintendo Switch, Keten Multi-Angle Play stand Smartphone Tablet Holder Dock Compatible with iPhone 7 6 Plus 5 5c, Accessories, iPad and Tablets (6-8 Inch) Foldable Adjustable Desk – Black . 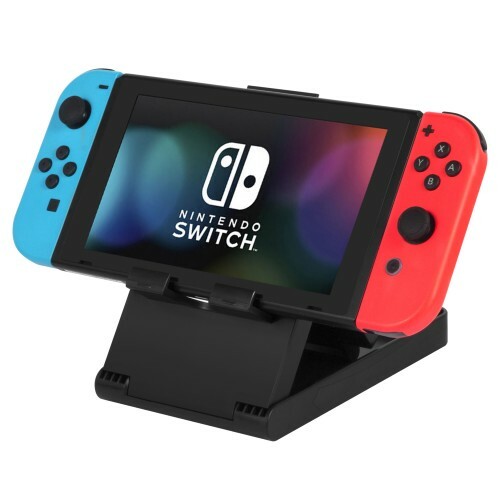 1.Multi-angle display designed for Nintendo Switch to achieve personal preference & comfort while playing. 2.Raises your Switch up for easier charging, lets you plug in the cable and use the device on the stand to solve the Switch design issue: USB Port on the bottom of the switch. 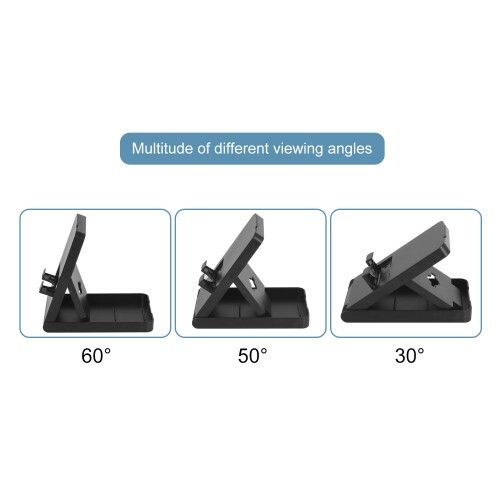 3.Adjustable angles design with three level settings meets requirement of different heights for better gaming experience.Two prongs on the interface of the bracket ensure the stability of your Adjustable angles design with three level settings meets requirement of different heights for better gaming experience. 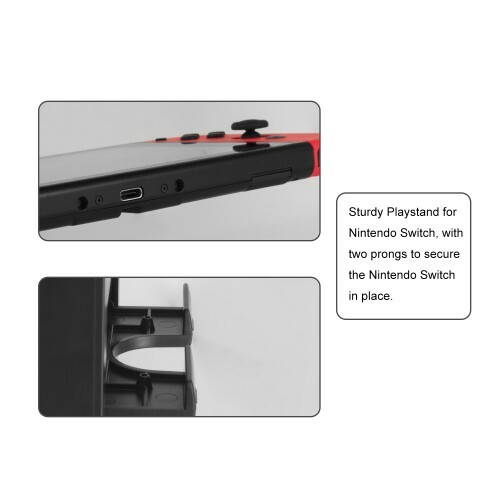 4.Two prongs on the interface of the bracket ensure the stability of your Switch. 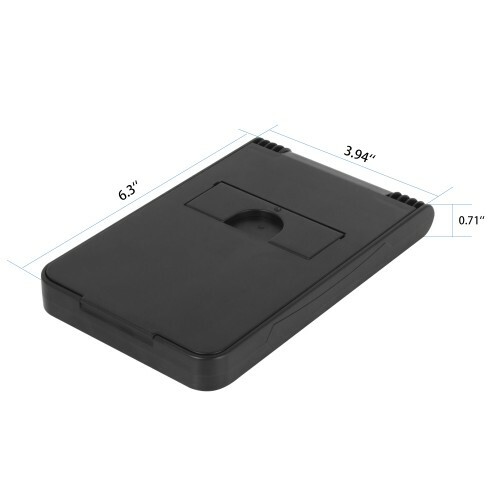 0.45cm reserved space for use with protective silicone case on. 5.Folds up pocket-size design for portability. Easily folds to fit in any bag or pocket. 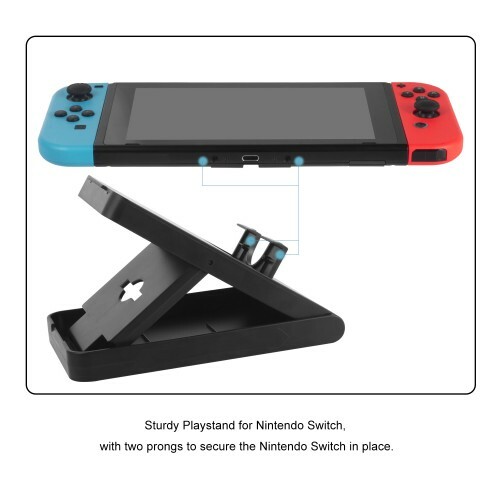 1.Two prongs on the interface of the bracket ensure the stability of your Switch. 0.45mm reserved space for use with protective silicone case on. 2.Four rubberized grips on the bottom minimizes vibration and stop any sliding while enjoying your gaming time. 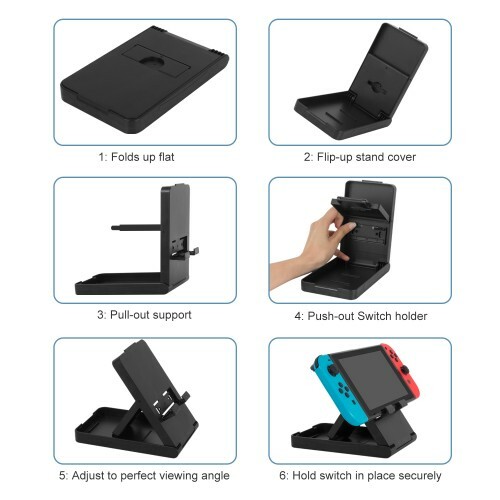 4.Compatible with New Nintendo 3DS XL and a PS Vita 1000 model.